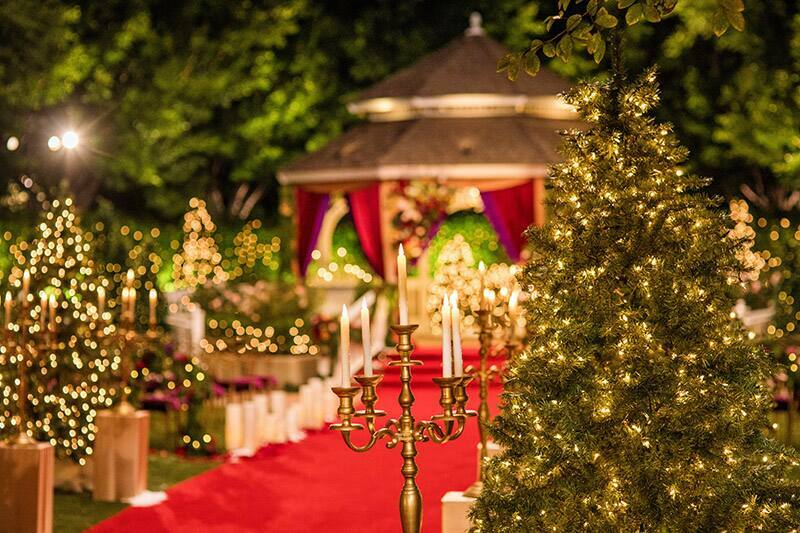 With the holidays just around the corner, it's the most wonderful time of the year to say "I do." 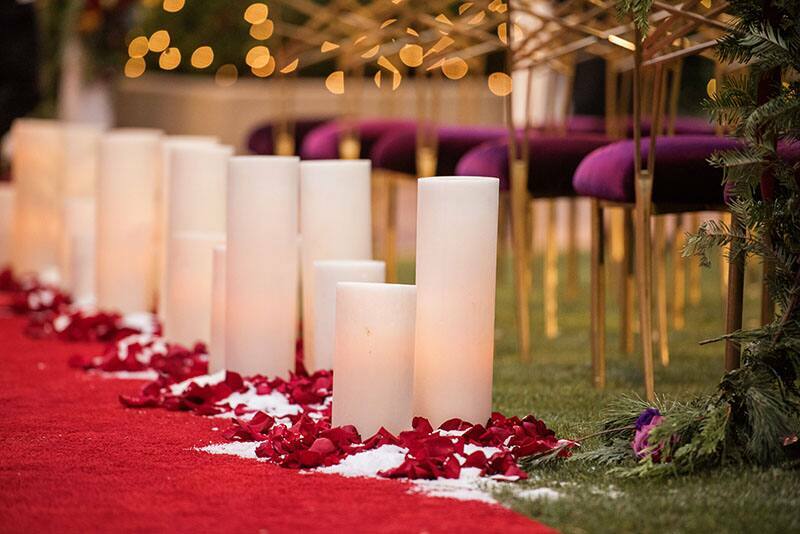 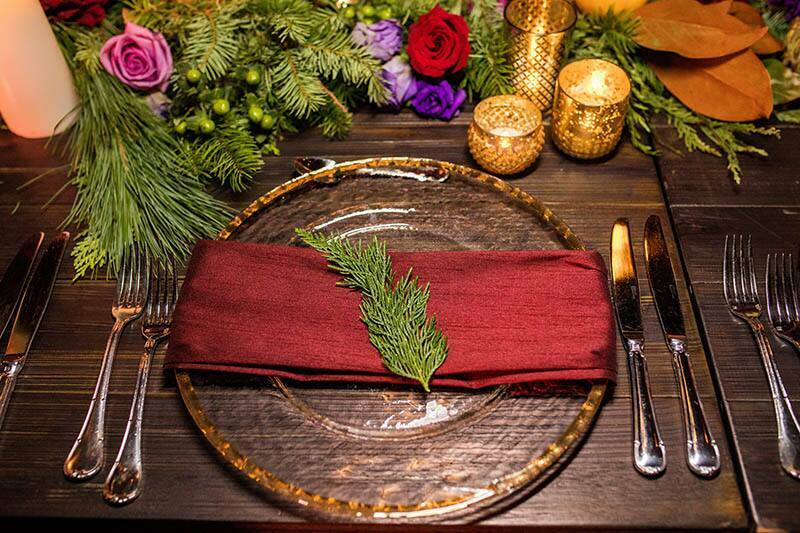 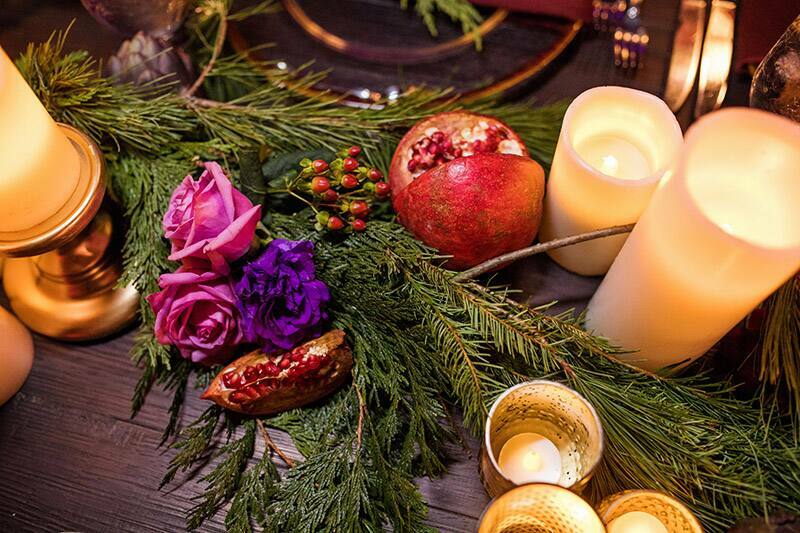 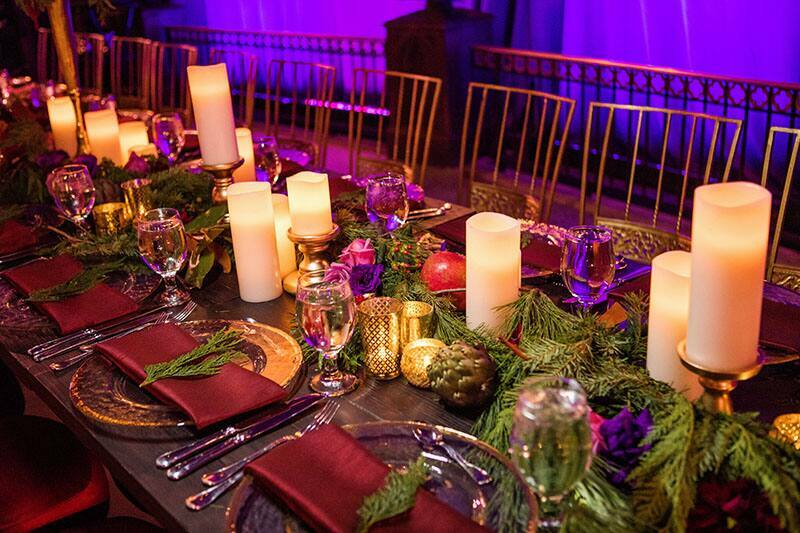 From twinkling lights to festive decor, there are variety of ways to incorporate the holidays into your winter nuptials. 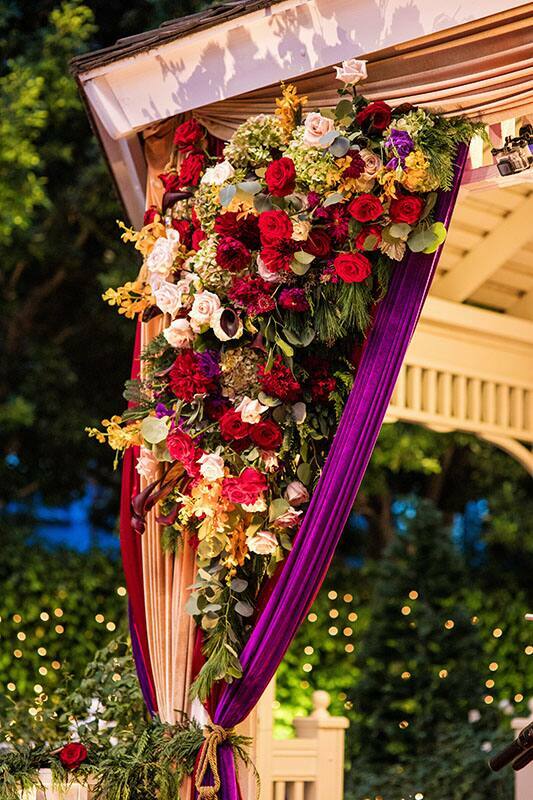 Take Melanie and Greg's Disneyland wedding from our recent Freeform TV special Disney's Fairy Tale Weddings: Holiday Magic! 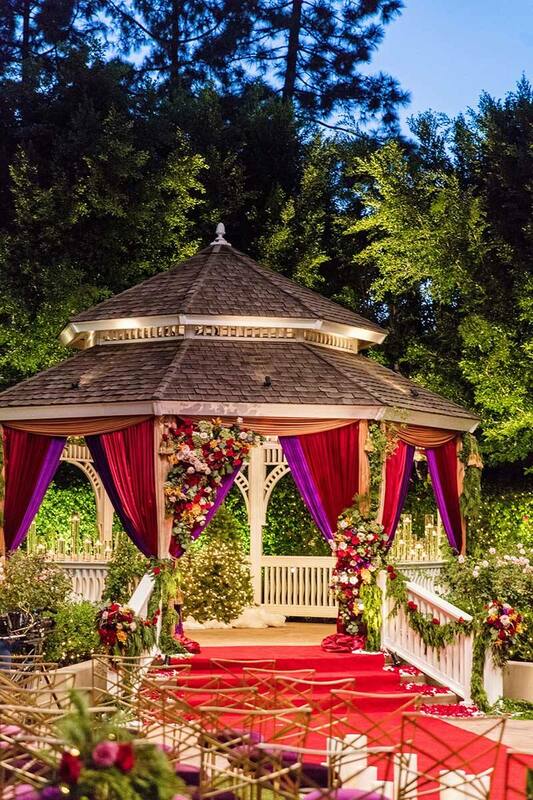 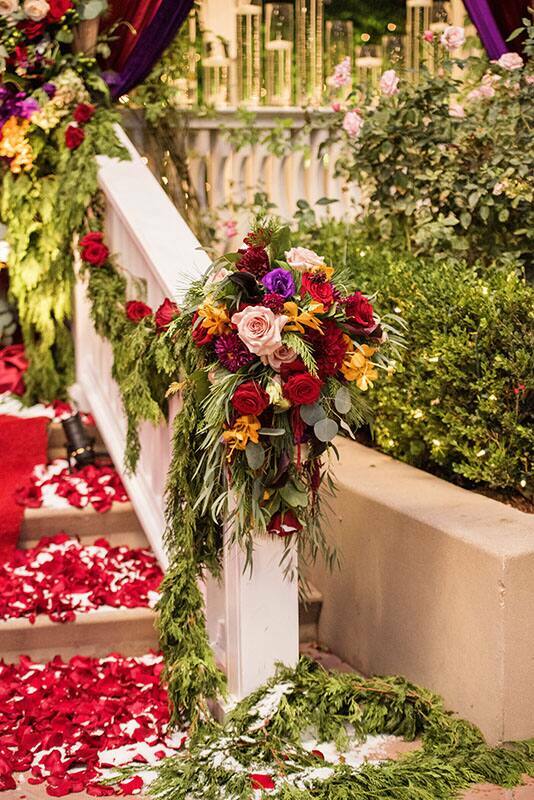 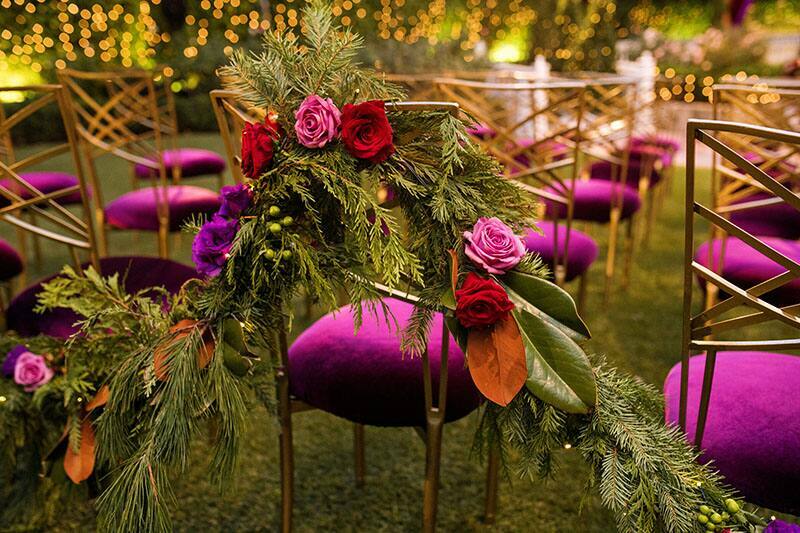 The couple celebrated their happily ever after with a romantic ceremony at Rose Court Garden. 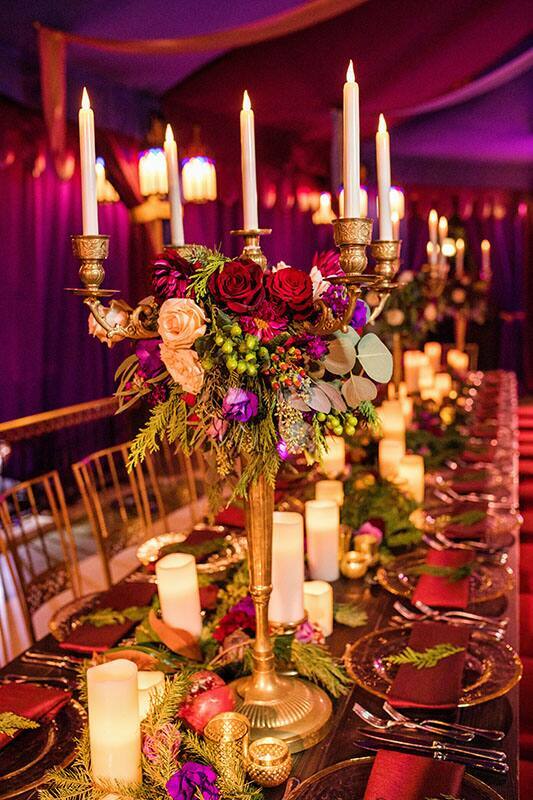 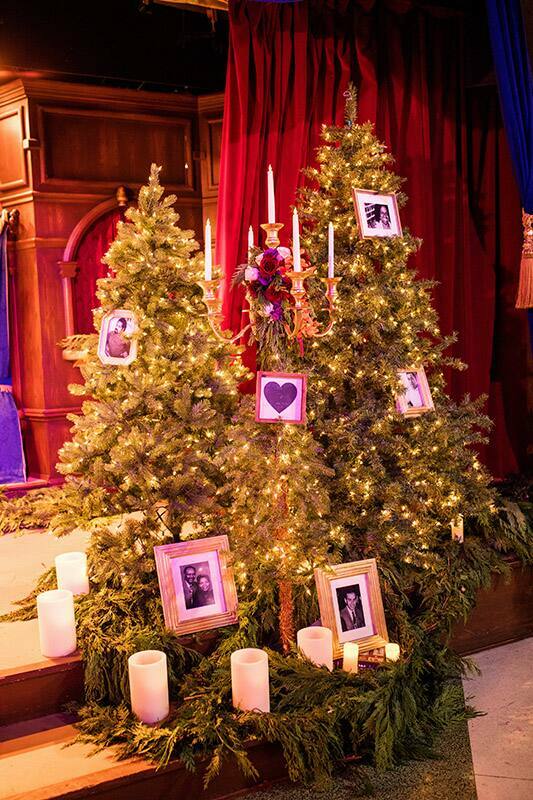 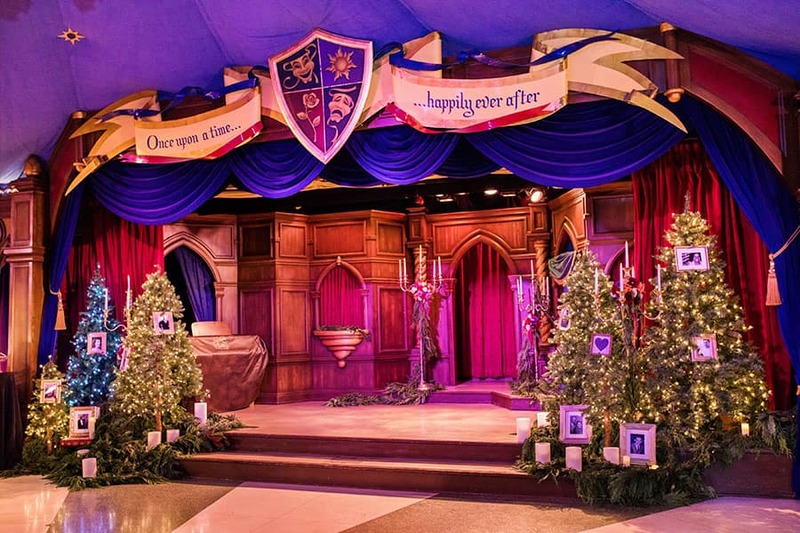 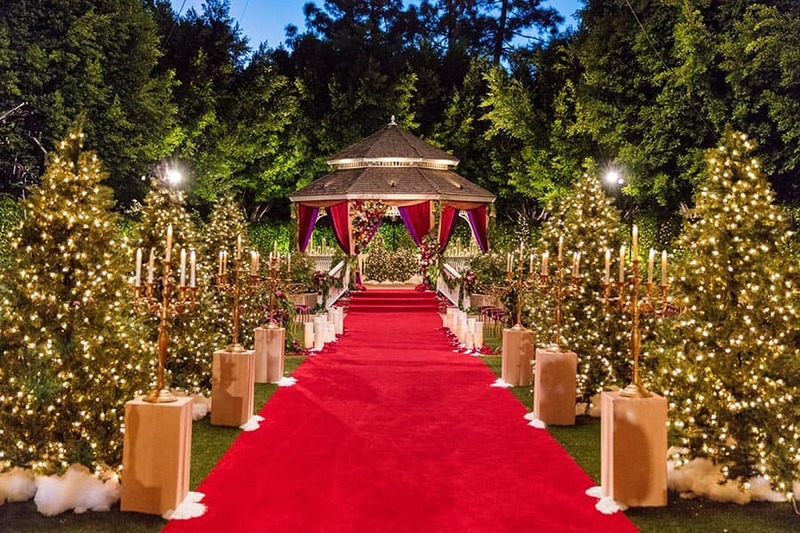 The aisle was lined with glimmering Christmas trees while rich hues of red and purple were present throughout the entire venue. 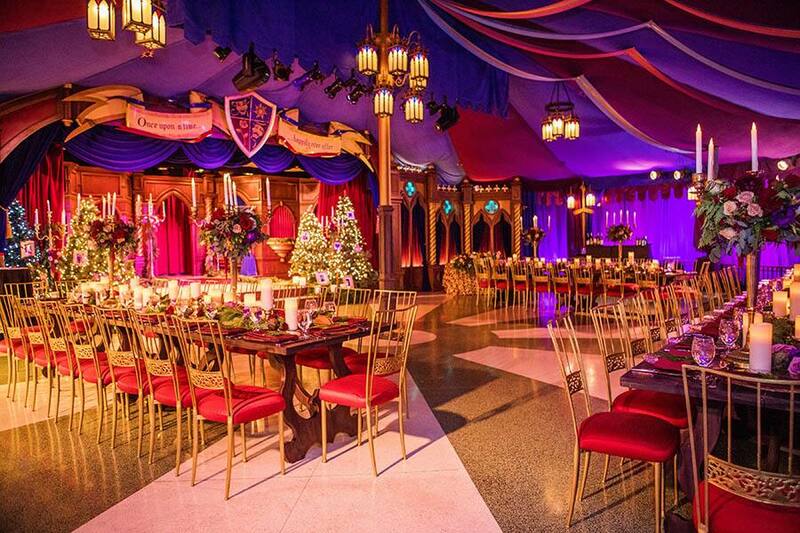 It was all in the details for the pairs reception held at the Royal Theatre inside Disneyland Park. 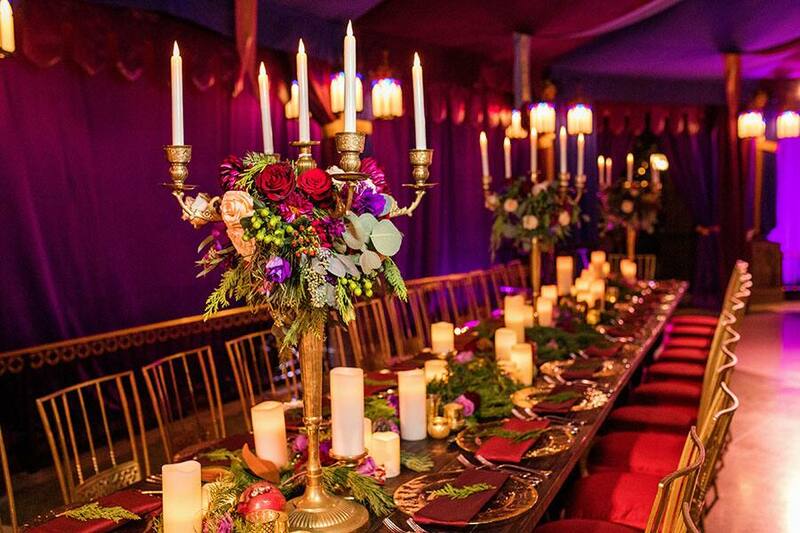 Each table was adorned with extravagant golden candelabras with festive floral arrangements featuring red roses, berries and fresh greens. 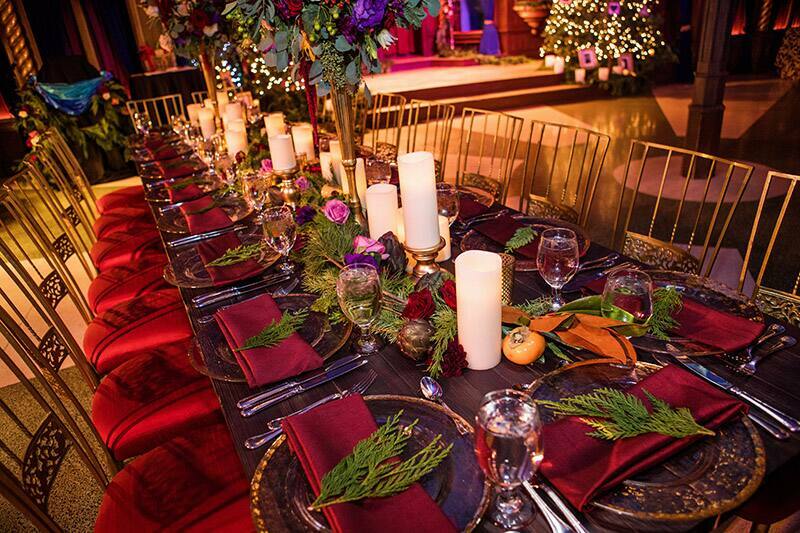 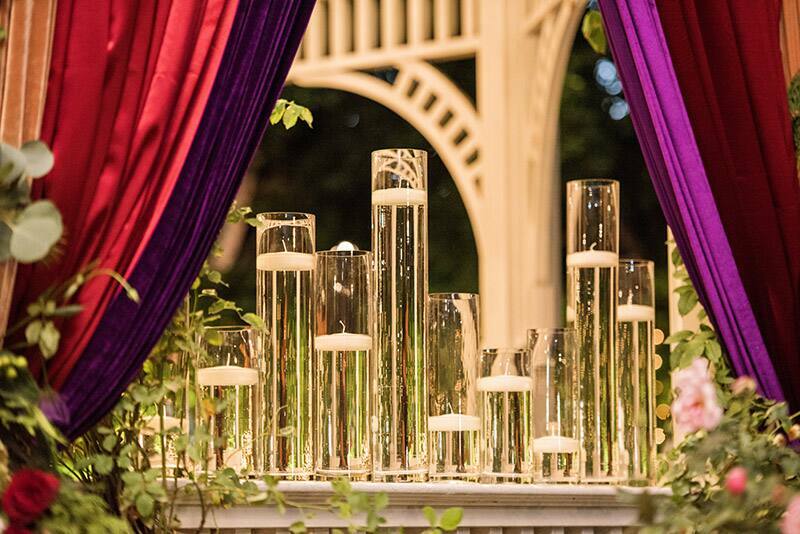 The large space was transformed into an intimate setting fit for royalty!